Police are seeking public assistance in relation to an unlawful entry and stealing incident in Alice Springs earlier this week. Detective Senior Sergeant Peter Malley said a residence in East Side was unlawfully entered between Tuesday 25 and Wednesday 26 August and a purse containing cash and credit cards were stolen. 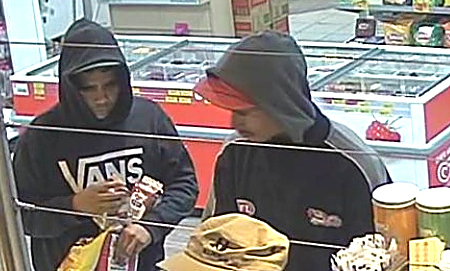 “We allege three males, pictured in the CCTV images, went to a service station on the Stuart Highway and Stokes Street on Wednesday at around 4:50am and used the stolen credit card to purchase fuel, food and phone credit. 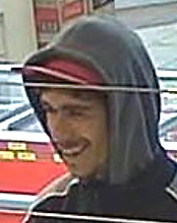 “The males were driving a 1998 Mitsubishi Challenger with South Australian Registration number AA7 01K. “We urge anyone who has information that may be able to assist us to ring 131 444 or Crime Stoppers on 1800 333 000,” says Sen Sgt Malley.